Yes, for the traveler, Helsinki is certainly worth a visit or three. What’s more, according to recent research, the residents of this city are very content with where they live. 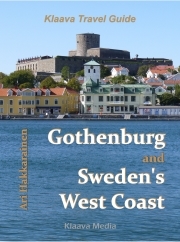 Download sample chapters of I, Helsinki -book in EPUB format. Kindle owners can read sample pages on Amazon (follow the links below). and other Amazon Kindle stores.